Is it Biblically lawful for a man who desires the ministry to be divorced and still enter into the ministry? This would depend on a variety of circumstances. Many good men have differed over this question. All through church history there has been a wide range of disagreement on this issue; some say yes, a man should still be able to enter into the ministry, some say no, he should not. This topic recently came to my attention again, and I thought it may be helpful to put some thoughts down concerning its ramifications. Knowing full well that it adversely affects a great number of men who “desire the office of a bishop” but are hindered as a result of what I believe to be and exegetical fallacy concerning 1 Timothy 3, it is certainly something we cannot push under the rug, or quickly dismiss without a full study. The reader will have already gained a sense of my stance when reading through the above paragraph. But I would entreat the reader to continue through the whole article before dismissing the position. I am not inventing something new, but reiterating, or parroting, what others have already laid as foundational to this study and 10 years of contemplation on the subject. I do believe that a divorced man, under biblically lawful terms of divorce (which are 2 in number), may be still eligible for the ministry, though each case should be determined as to whether the man actually meets the criteria to its biblical end and warrant. Oftentimes the original Biblical languages simply allow us to know what the words mean, but there are other times when they give us great insight. Through their context, tense, grammar and the like, which aid us in understanding the passages under study. Sometimes texts like “Jesus wept” say exactly that in the Greek, and nothing more. But the theological ramifications of that statement must be worked out. 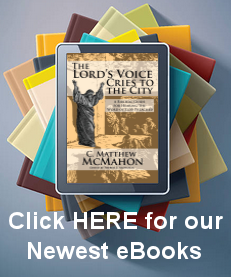 Jesus as a man did cry, but did God cry? That does not mean that the translation “Jesus wept” is false. It simply means that through more study of other passages (using the Analogy of Scripture) we may be able to understand what the text is stating and how it may fit together. Other times the Greek text helps understand what a text may mean or not mean simply based on the language itself – this is the case in 1 Timothy 3:1-7 and the qualifications of the elder. The text itself aids us with key points, and helpful insights into Paul’s meaning as the grammar and syntax enlighten our use of the context and the Spirit’s intention in the passage. First, I am going to assume the man in question is biblically qualified for the ministry, shows these qualifications outwardly, and desires the office, though he is currently disqualified due to a given church’s stance on divorce and remarriage (Many would say that this man is not qualified due to his divorce, but this is exactly the point in contention). This will be presupposed. Secondly, my desire is to treat the Greek text specifically within its context, and not only the theological ramifications of the English phrase “husband of one wife.” When the phrase “husband of one wife” is treated separately from the context, the meaning will immediately be lost since the specific Greek tense is important to clearly understand the text and our theological stance after translating that text. Let us take this critical textural information and apply it to the first qualification of “blameless.” The one who desires the office of a bishop or elder should be blameless, presently. If he is not “blameless” (Greek – “ἀνεπίληπτον.”) presently, then he is disqualified. If in some way, he has subjected himself to some open, scandalous sin, then he is no longer blameless and the office is forfeited. This does not mean that the besetting sin which a Christian is exposed to and continues to mortify daily counts against him being blameless (unless of course the besetting sin is scandalous and in the open); otherwise the office would never be filled since all Christians deal with besetting sin. For as John says, “he who says he is without sin is a liar and the truth is not in him,” and as Solomon says “there is not one who does what is right and never sins.” But if we were to ask this question –“How long should he be blameless?”, then we have already begun to move away from the text, though the question does imply the church be prudent in their decision concerning the man. We should not disqualify the man if he was not blameless 15 years ago as an unconverted man. It could be he was a real “ladies man” and had a lifestyle of fornication. He could have been intimate with 50 or 80 women, possibly contracted certain diseases from those unions, forced his girlfriends to have abortions, and possibly have had some children as a result of his one night stands that he does not even know about. But that does not mean those scandalous sins affect his standing as a regenerate Christian man now, 15 years later. God may have very well given him the gifts of a bishop or elder by the grace of Christ. It would certainly be a problem if he was in this lifestyle now since the text emphatically states that presently, he must be blameless; this is a given. Let us not take the next qualification and use the same Greek construction in translating this and see where it leads us. The one who desires the office must be blameless and “the husband of one wife” (Greek – μιᾶς γυναικὸς ἄνδρα; compare this to 1 Timothy 5:9 with γεγονυῖα ἑνὸς ἀνδρὸς γυνή). This is also construed grammatically with the present infinitive verb, and necessitates the translation as in the present tense. Presently, he must be the husband of one wife. The chronological time line of “presently” is emphatic for all these qualifications, not just this one, and must be viewed with an eye of prudence. If “presently” means “within the last two years”, that may be an acceptable time frame for a church to be evaluating a man who desires the office and the shepherding of his home. If the man was recently divorce, lawfully, (his wife would have to be an unbeliever and have left him, or an unbeliever in a series of unrepentant adulterous affairs with no possibility of reconciliation after every effort has been placed forth) then this should be taken into consideration. If the man was not divorced lawfully then remarried, biblically he and his newly wed wife are committing adultery and should not be considered for the office, and should enter into counseling to see whether or not they are even Christians, why the divorce and remarriage took place, etc. Gentle Pastoral care over situations of this nature are important. Let us, then, place this qualification in a more usual context: a man who desires the office was married at a young age to his High-school sweetheart. He was then subsequently converted and saved by grace thereafter. The unbelieving wife despises the new creation she is now married to and finds satisfaction elsewhere. She runs off with another man and commits adultery, serves divorce papers and goes on with her life, without any possibility, after repeated efforts by the husband, for reconciliation. Then the man is remarried some years later, and now desires the office of an elder believing he is gifted with the appropriate gifts. Does this disqualify him from the office? To say so is to go against the Greek construction here and become eisogetes instead of exegetes. Otherwise, to remain consistent in our chosen hermeneutic, we would have to say that every qualification comes under the same judgment. If a man was the husband of other wife at an early age, then he is disqualified; thus, in the same way, if a man was previously not blameless at a younger age then he is not qualified; and so on – if he was not blameless, not the husband of one wife, not temperate, not sober-minded, not of good behavior, not hospitable, not able to teach; not given to wine, not violent, not greedy for money, not gentle, quarrelsome, covetous; not one who ever ruled his own house well, and who may have not had his children in submission with all reverence earlier in life then he is disqualified. If any of these were not exemplary all his life, then according to the same “exegesis” done on the “husband of one wife”, he would be disqualified. It is utterly important to remember that these qualifications are in the “present” not the past tense. Paul is not saying that men who have committed sin in and against these qualifications 20 years ago in an unconverted state would be deemed unworthy as a new creation to enter the ministry, so long as the other Biblical mandates for remarriage are heeded. But it is saying that the elder-candidate must meet these non-negotiable qualifications under a prudent period of time deemed acceptable as “present” by the church who is electing him. If the man was greedy for money 6 months ago, it would be in the best interest of the church to prolong their evaluation of him another couple of years to be sure that true repentance has taken place by the Spirit, and not just a lip service to the desire of a position. But to say a man is disqualified as a result of having done any of these in the distant past and has shown himself to be faithful in every area for 10 years, is to miss the present tense of the verb, and the exegesis needed in understanding the text. If the phrase “husband of one wife” does not mean “divorced and remarried” what could it mean? First, it does not mean that the verb “must be” is necessarily emphatic for a man to be married since the order of the words “to be” are imperative to the phrase “husband of one wife” (with a possible stress on the word “one”). It does not mean those who are unmarried, like Paul and Jesus, cannot be elders in a church – Jesus being the Shepherd and “Bishop” of our souls was never married but is the chief “bishop” of His church. Forced marriage is not the intent of the passage. Rather, a presently well-ordered household in light of the historical situation of confusion is what Paul meant. Rome was laden with polygamy and disorderliness. Concubines, wives, and undisciplined children could be seen from the Caesars’ house down to its subjects. The ill-ordered household was in contempt in the eyes of the Christian. Polygamous marriages proved the subject did not know the Scriptures, or was ignorant of them when he married his 4 wives, and consequently could not order the church and lead the people of God. How much more should the elder’s home be a picture of the union between the husband and wife (one husband and one wife, lawfully and presently) and disciplined children who are in submission to the parents? What if the children were not disciplined 5 years ago, but now they are disciplined? Does this mean the man is disqualified? It is equally absurd to think that a fornicator who exemplified the male “stallion” attitude and engaged in the game of “sexual conquest”, who elicited the nightly “one night stand” and committed or was engaged in, other abominable sexual practices not needful to mention, could enter into the office of elder simply because he did not sign a piece of paper. The fornicator and sexual exploiter of the past, newly regenerate is more “qualified” than the committed husband who had an unbelieving spouse leave him. The contrast to the unsaved man who committed himself to one woman (and was a faithful husband) but had a marriage end in divorce, usually a result of his conversion and the newly regenerate mindset he had gained in opposition to the obstinate unbelieving spouse, is now denied the office based on dubious exegetical work on 1 Timothy 3:1-7. Paul’s intention was to set in a right order the household of an elder as it presently stands. It was never meant to discredit men from the office based on their distant past, otherwise no men are liable to the office at all, including the murderer Paul. Nor was it meant to discredit those men who may have remarried as a result of a spouse’s death (but consistent faulty exegetical work would assume this to be true as well as discrediting a divorced man into the office if the passage is dealt with that integrity of translation). The exegetical work alone on this passage does not allow the phrase “husband of one wife” translate into “the man who has been married more than once”. This is not the intent of Paul, nor can it be lawfully read into the passage to refer to a past action unless the principle is applied prudently to the rest of the qualifications as already stated, and we can now see this to be eisogetical. If Paul wanted to speak to divorced men, and exclude them from the office, he would have used the word “apostasion” which means “writing, or certificate, of divorce,” or the verb “aphiemi” which means to “leave” (1 Cor. 7:13), or the verb “apoluo” which means to “put away” (Luke 16:18; Mark 10:2). He used none of these, though he will use the verb aphiemi 3 times in 1 Corinthians 7 concerning the lawful divorce of one who leaves as an unbeliever, which is dependent upon their unlawful leaving within the union because of unbelief. Titus 1:5-9 is in the same Greek construction as 1 Timothy 3 and would be translated and understood in the same way through responsible exegetical work. The order or words is shifted, but the endings of the words in Greek point to their grammatical syntax, which the verb “einai” is still antecedent to the qualifications. The Analogy of Scripture teaches us that Matthew 19 and 1 Corinthians 7 do place a limitation on those men who have been married more than once although 1 Tim. 3:1-7 or Titus 1:5-9 do not say anything about these limitations. Jesus tells us in Matthew 19 that divorce is not lawful except for marital infidelity. This does not mean that the moment the spouse “cheats,” divorce is immediately the next step. It does mean that unrepentant sin, over a period of time (which is wisely counseled by the pastor and the spouse being abused in this way) may end in divorce without sin before God. Paul also says that if a believer and an unbeliever are married (two unbelievers are married, and one is converted – not that it is lawful to marry an unbeliever), and the unbeliever leaves, then the believer is to “let them go” and they are “not bound in such cases.” In both cases the godly counsel of pastoral oversight, and much prayer are needed. Divorce is not the “logical next step”, ever. It may, though, be the unforeseen and hurtful conclusion if the unbeliever is unrepentant. So as we have seen in these passages (especially 1 Timothy 3:1-7), the divorced man, who is lawfully divorced and remarried, cannot be discredited nor dissuaded by the church biblically, to give up the pastorate, or cease from attempting to enter the pastorate. To say so is to perform a misinterpretation on a passage that does not speak to divorce, but a historical context of a disorderly home. The moral dilemma of allowing the sexual “gigolo,” who has not been monogamous but is converted, into the pastorate after a number of years at the expense of the lawfully divorce man from an unbelieving or sexually adulterous spouse is nonsense. Or, if a man who is lawfully divorced, but told by a church or denomination he cannot pastor, then receives a doctorate in Pastoral theology and subsequently teaches in a seminary, is now able to teach others how to be pastors, but cannot be a pastor himself, is also quite ludicrous. Other examples may be imagined, but are to the detriment, not the help to the church at large. My intention was to bring this important textural, but often overlooked aspect, to the text in question. I pray it may be a help to those inquiring on this delicate issue.